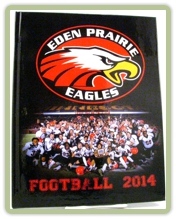 Here is a yearbook that we just completed for a local high school football team. Angell Anderson, the yearbook coordinator, did a fantastic job with the layout and it turned out to be wonderful yearbook for the football team. 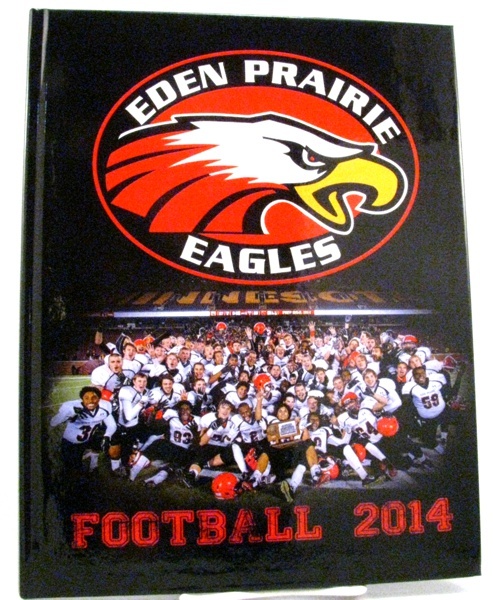 If you are familiar with football in Minnesota, you will know that Eden Prairie consistently has one of the best teams. Even if you are not from Minnesota, if you are a football fan you will recognize the last name of the head coach. Mike Grant is the son of Bud Grant, who coached the Minnesota Vikings for eighteen of their best years!